Nim's Island is a great flick for the whole family. 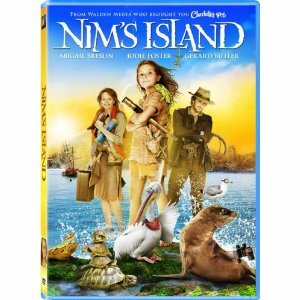 Nim and her father Jack live on their own private island, complete with animal friends, exotic food, a tree house and even a volcano! You and your family can dress in your best island garb to get in the mood for this island event. Anything from shorts and a t-shirt to grass skirts and leis. Bright colors are perfect too! You could even decorate your family room with tiki torches, ocean and beach, fish, seashell cut outs and more! Another very important person in this show is Alex Rover, the hero of Nim's favorite book. Turns out that Alex is actually a skittish, agoraphobic writer who doesn't live the adventures she writes about. She eats one thing...her favorite brand of soup. 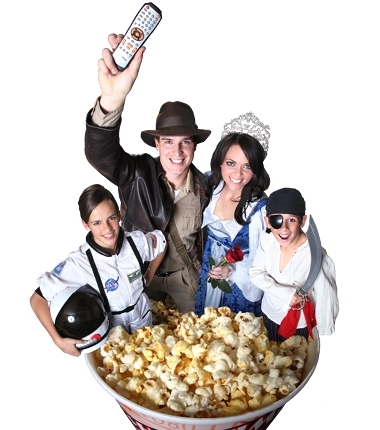 For the perfect Movie Snack or dinner before the show, you could have soup as well. Another great island snack would be gummy worms, because Nim cooks up some mill worms, but we don't recommend you eat those! :) You can always serve up some yummy island treats with plenty of fruits like pineapple, kiwi, guava, grapes and your family's favorites. Nim has some fun and helpful animal friends. For a great Must-Pause-Moment while Nim is playing with her unique friends you can play "The Great Animal Chase" a version of "Duck-Duck-Goose." Instead of saying "GOOSE!" when you choose someone to chase you around the circle, you can pick ANY other animal and run around imitating that animal. For example: if you said "Duck-Duck-LION!" both people would have to get on all fours and roar while they went around the circle. If you chose penguin you would waddle around the circle, a horse would gallop and neigh, and so on! You could also play Animal Charades. Nim's Dad is a scientist who looks for protozoa in the ocean. Another Must-Pause-Moment could include breaking out the magnifying glass or microscope and checking out what "protozoa" you have around your house. If you decide to watch this for a party, mini magnifying glasses would make a great party favor! 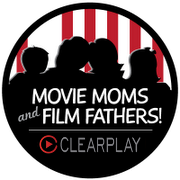 You can "Be the hero of your own life story" and the hero of your next family movie night with these great Family Movie Night Activities from ClearPlay!